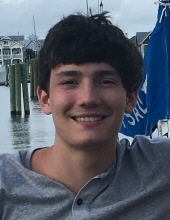 HILLSBOROUGH: Kevin Gregory Cummings, 18, died Tuesday, November 13, 2018. He was born in Plainview, NY, the son of Greg Cummings and Christie Barker-Cummings. In addition to his parents, Kevin is survived by his siblings, Joshua Faulkner, Annalie Cummings, Keegan Cummings, Micky Cummings; grandmother, Joann Dropiewski; grandfather, Cleon Barker and wife Sharon; grandparents, William and Anne Cummings; girlfriend, Jordan Cox; and countless aunts, uncles, cousins, and a niece. Kevin was an extremely intelligent, curious, caring, generous, and humorous child who saw beauty in everyone and always stood up for the underdog. He was also very private, and did not lean easily on others in his personal struggles. He was an avid baseball player until the age of 16, loved to fish, and play basketball with his friends. His happy place was Bald Head Island. He had graduated from Orange High School in June 2018, with multiple academic honors, and had received multiple scholarship offers and acceptances to colleges. He planned to attend college in the fall of 2019, with the goal of becoming a clinical psychologist to help others facing similar mental health issues. A funeral service will be held 3 pm, Sunday, November 18 at First Baptist Church in Hillsborough with Dr. Randy Carter officiating. The family will receive friends from 3 to 5 pm, Saturday, November 17 at Clements Funeral Home in Hillsborough. To send flowers or a remembrance gift to the family of Kevin Gregory Cummings, please visit our Tribute Store. "Email Address" would like to share the life celebration of Kevin Gregory Cummings. Click on the "link" to go to share a favorite memory or leave a condolence message for the family.